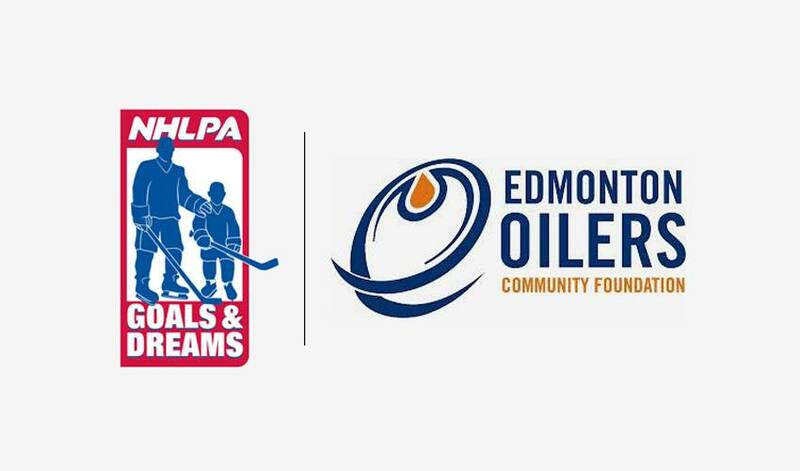 Edmonton, AB – Thanks to the annual Oilers Skills Competition presented by Rogers, the National Hockey League Players' Association (NHLPA) Goals & Dreams fund and Edmonton Oilers Community Foundation (EOCF) are pleased to announce a donation of $27,000 to Sport Central. The fan-favourite event generated a net revenue of over $54,000, which was split evenly between the Oilers Foundation and NHLPA Goals & Dreams. The EOCF’s portion was reinvested back into the community and contributed to more than $3 million donated to more than 165 registered charitable groups in our community this past year. NHLPA Goals & Dreams’ portion will also be reinvested back into Northern Alberta through a donation to Sport Central, providing children the opportunity to participate in the sport of their choice with the necessary equipment. The organization’s primary goal is to gather, recycle, and redistribute equipment to kids who would otherwise be denied the opportunity to participate. The NHLPA is the largest grassroots hockey assistance program in the world. Founded in 1999 as a way for the players to give something back to the game they love, NHLPA Goals & Dreams has contributed over $22 million to grassroots hockey programs in 32 countries. Through the donation of equipment grants, the program has given more than 60,000 deserving children around the world the opportunity to play hockey over the past 14 years.